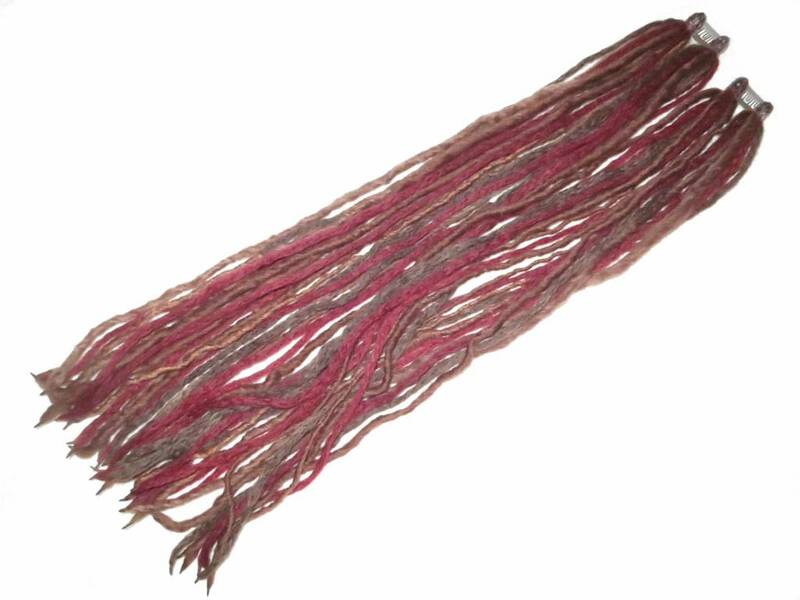 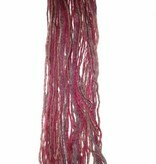 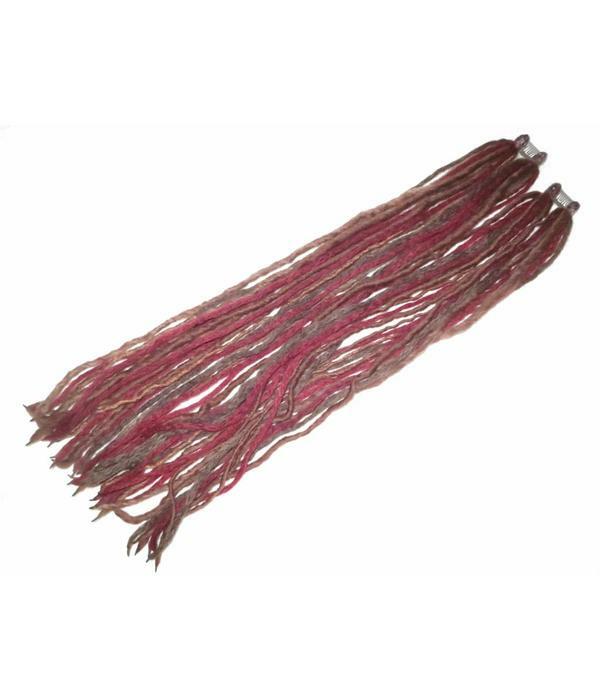 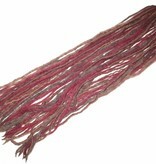 Steampunk clip-in dreadlocks in wine red and browns - limited edition, our material lasts for about 100 clip-ins only, first come, first served ;)! 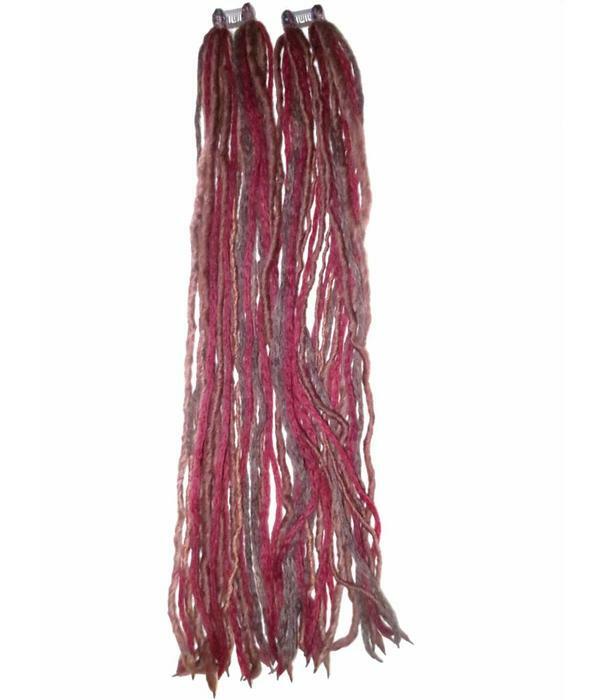 Since we have more material for this model than for the other limited edition dreads, we offer this one both lengths - 22.5 inches/ 57 cm and up to 38 inches/ 97 cm. 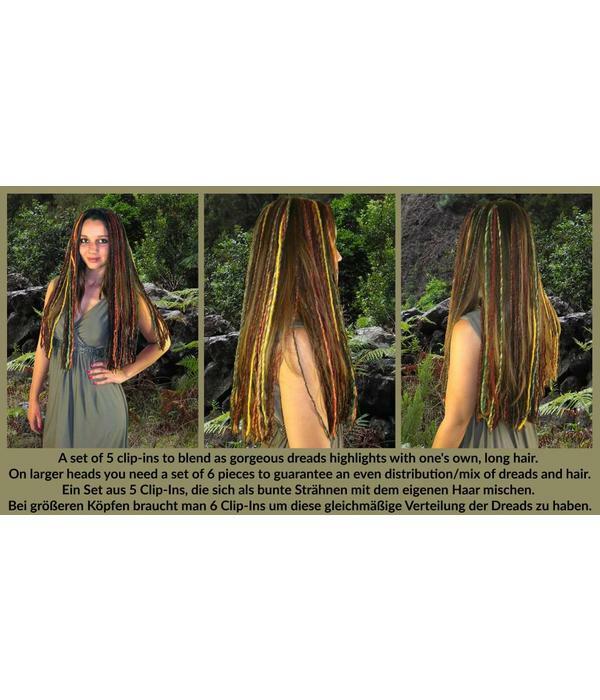 These dread clip-ins come in wonderful rich browns, a chestnut and mocca mix with some slight copper effects and wine red highlights as shown in the first picture, choose between different set sizes! 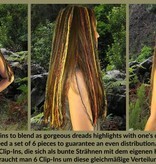 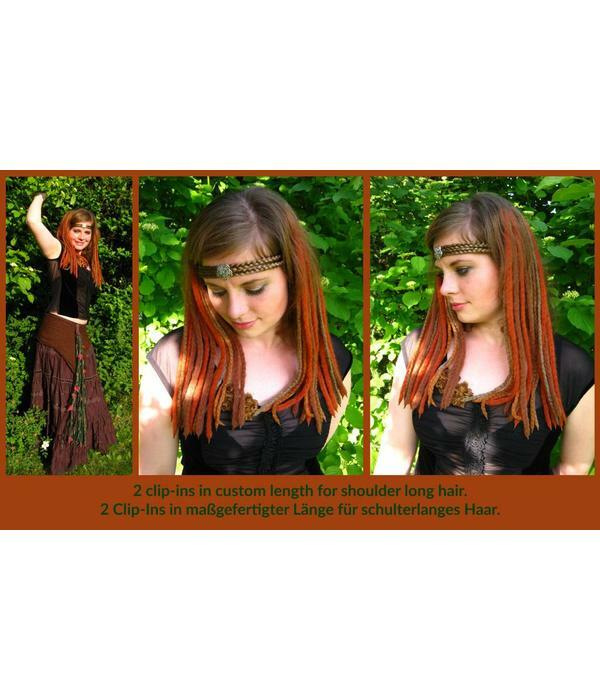 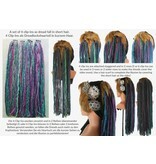 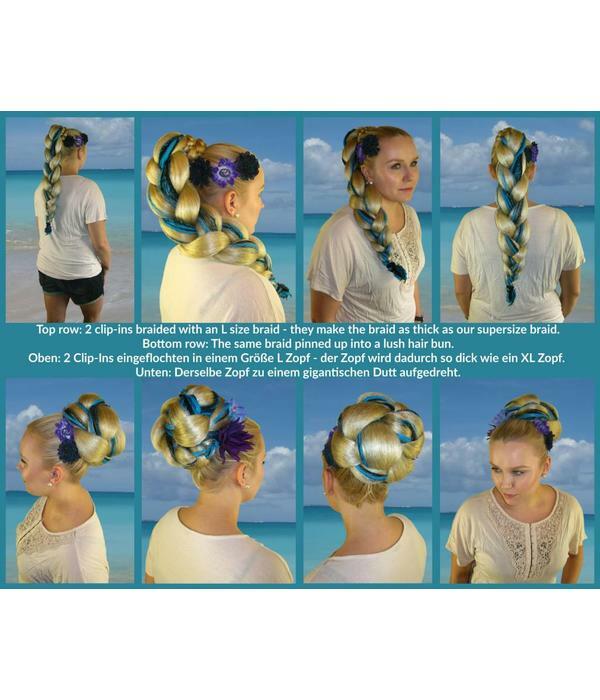 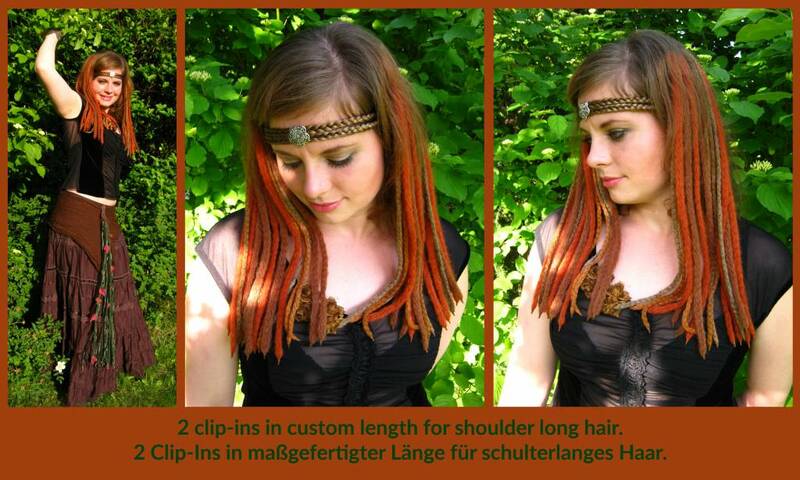 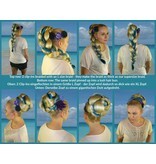 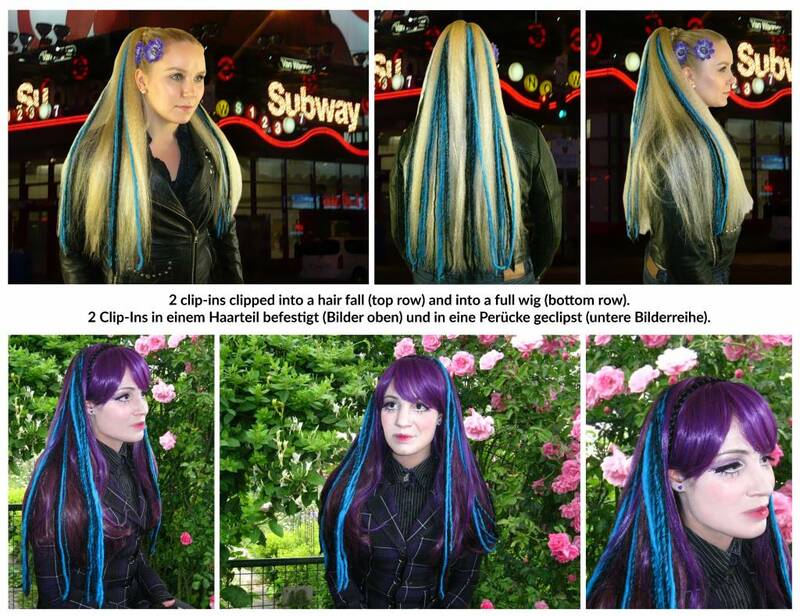 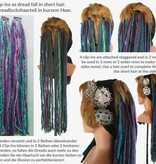 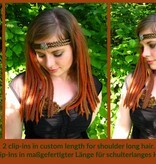 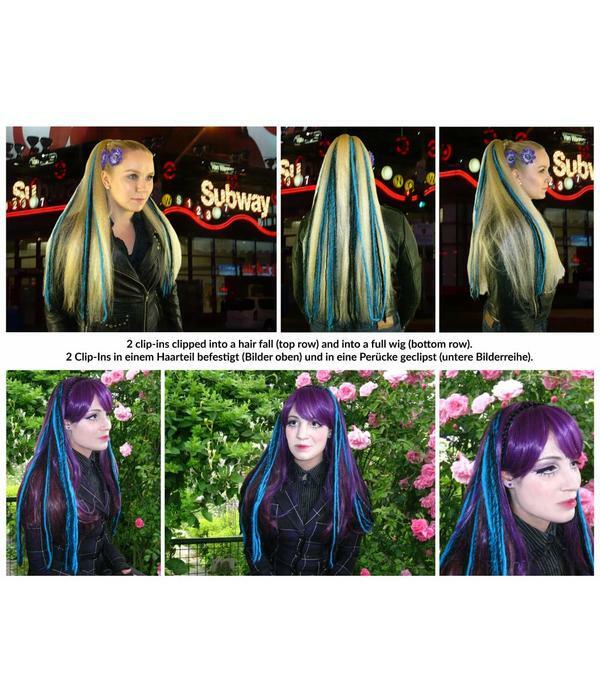 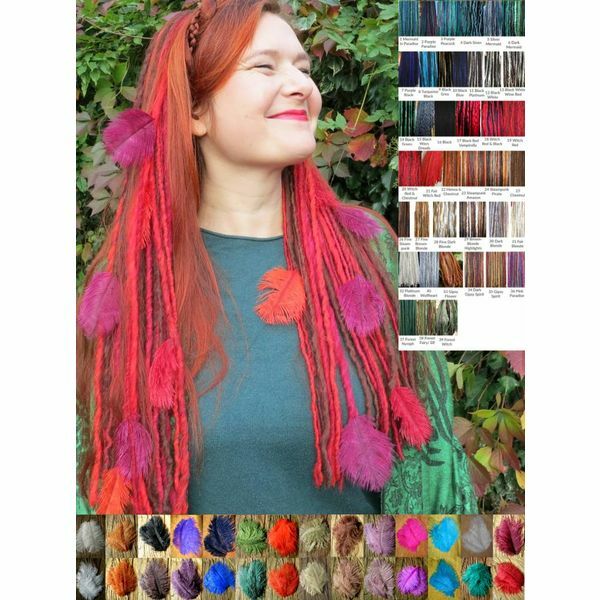 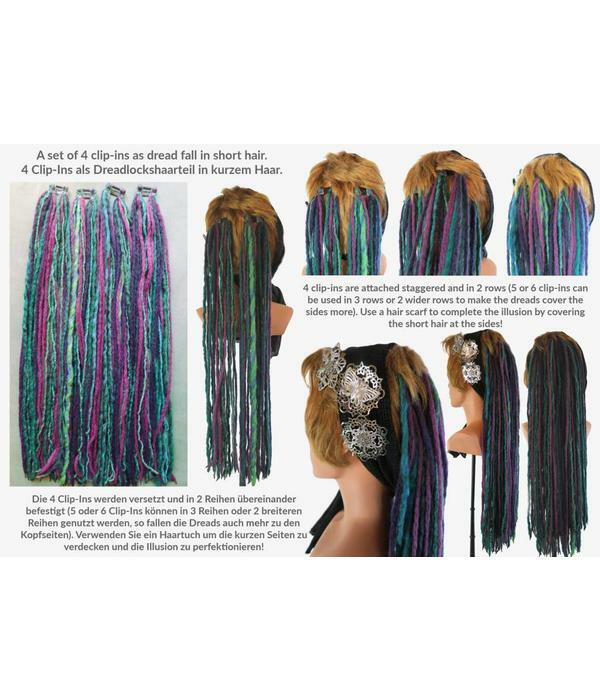 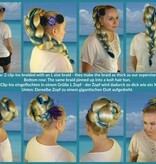 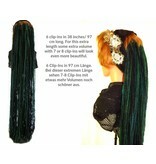 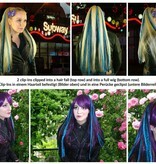 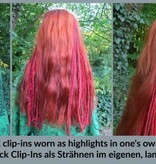 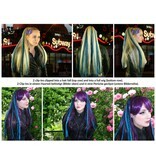 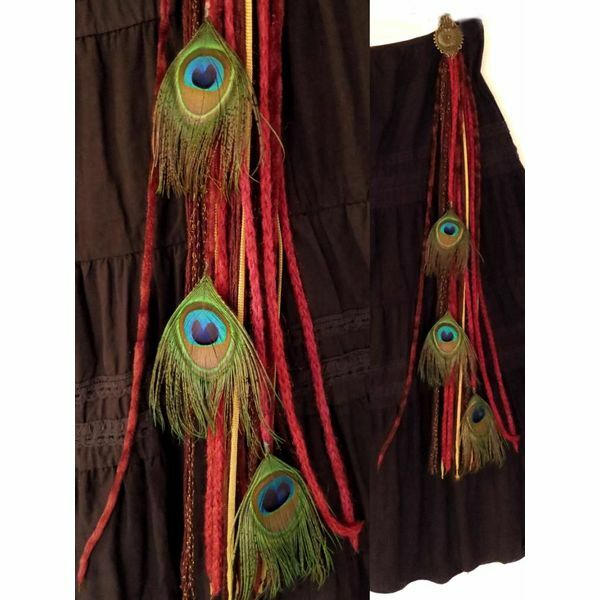 Perfect dreads extensions for steampunk belly dance and Neo-Victorian costumes! 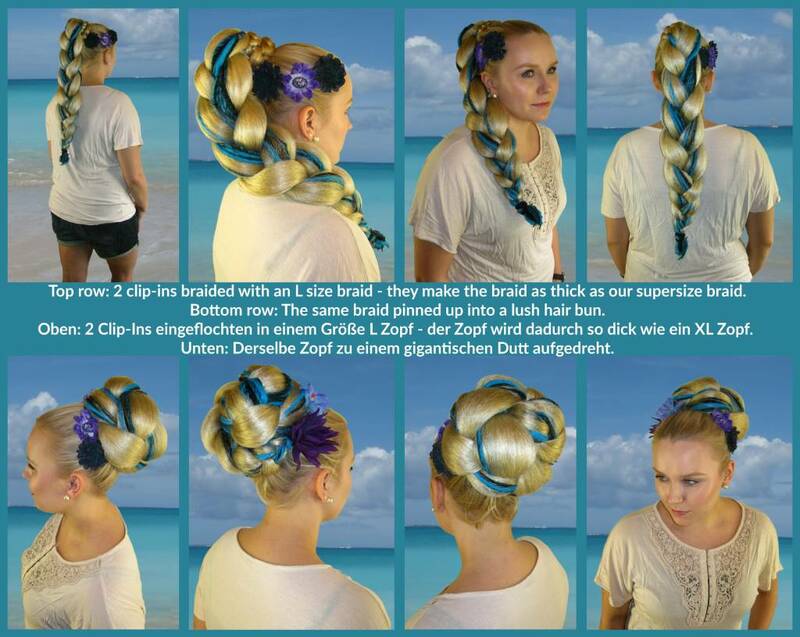 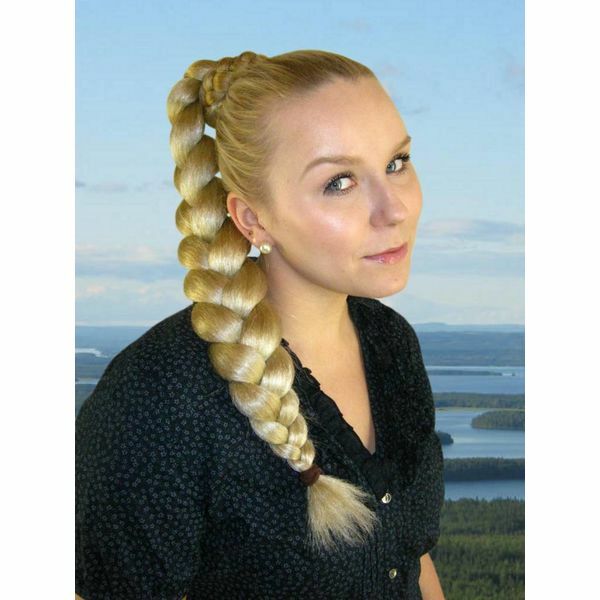 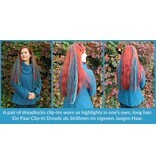 The other pictures show how you can wear these clip ins and the different set sizes. 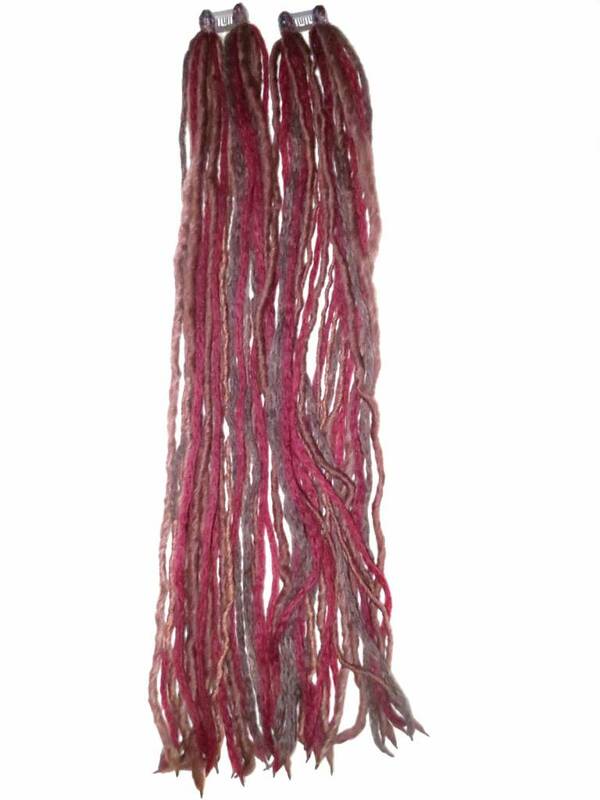 The dreads in these styling examples have different colors, you will get the wine red and brown mix here, please check our custom color listings for other colors! 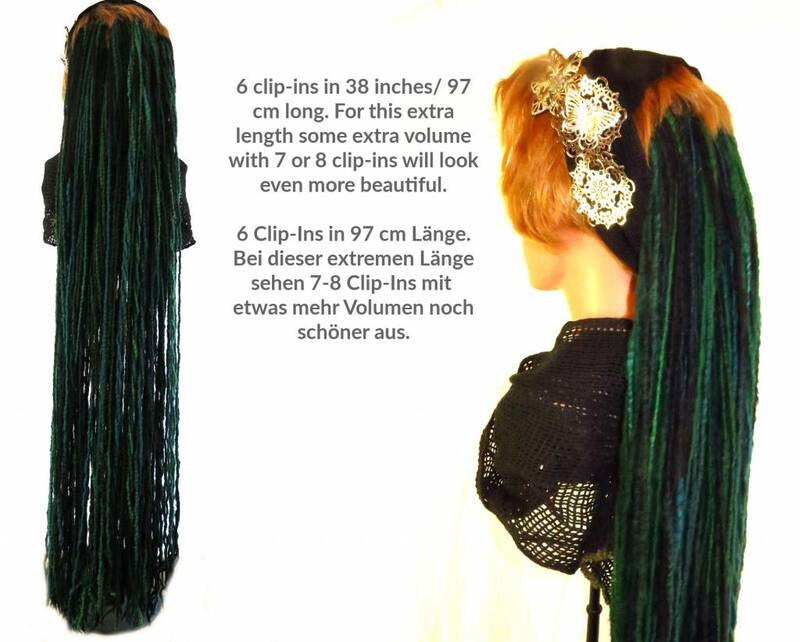 If you are getting the extra long ones in 97 cm/ 38 inches for short hair, you might even want to have 7 to 8 clip-ins, because more length looks even more gorgeous with more volume. 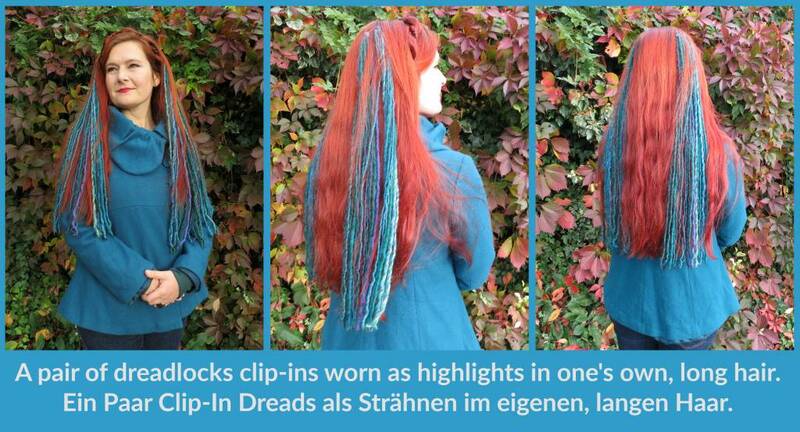 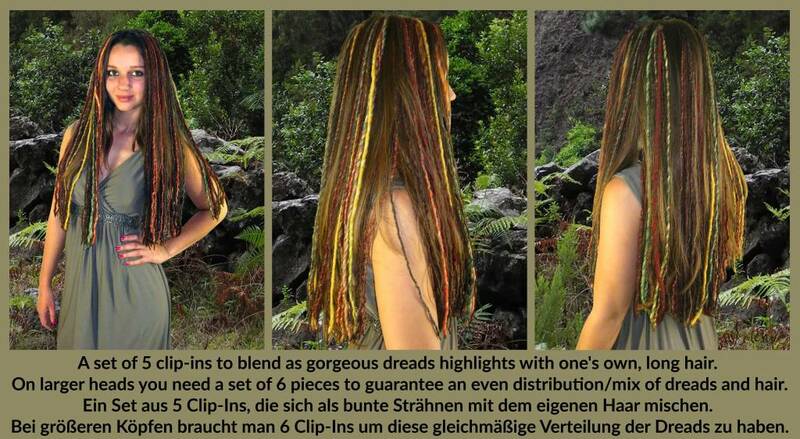 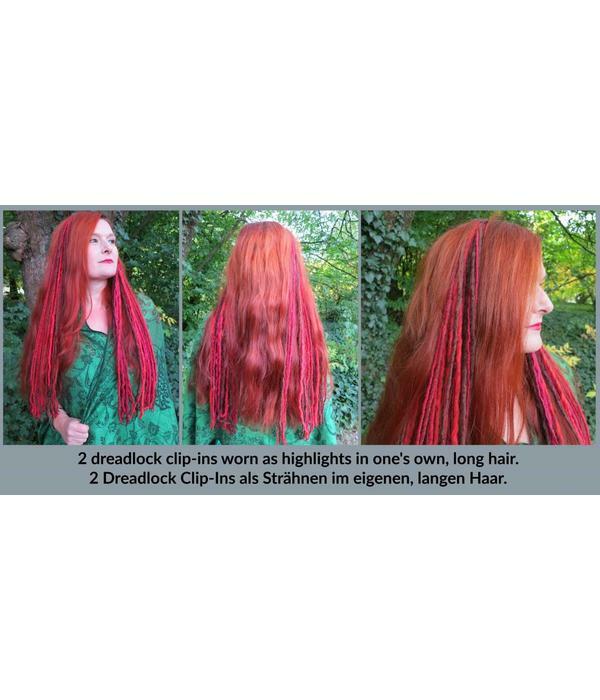 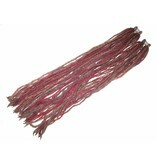 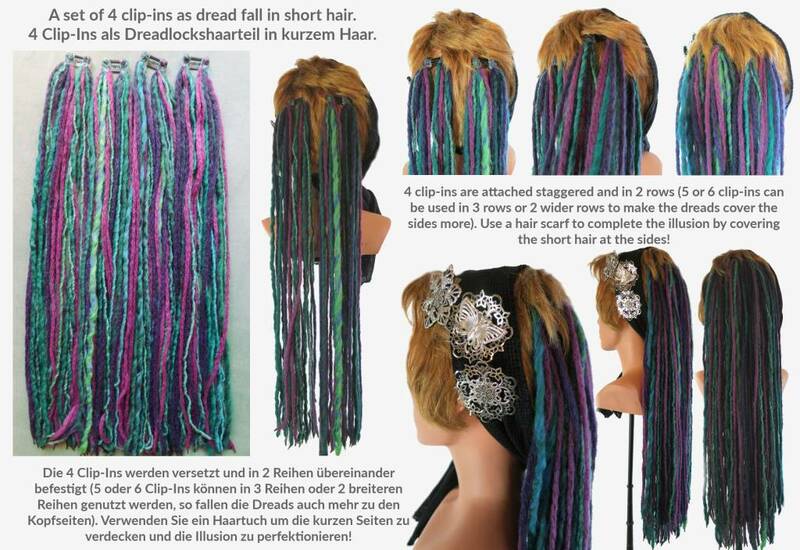 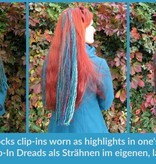 The single dreads are Ø 0.5 - 1.3 cm/ 0.2-0.5'' thick and each clip comes with 24 single dreads. 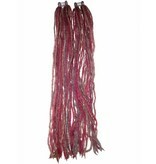 We seal each dreadlock at its end to guarantee you a long-lasting hair piece. 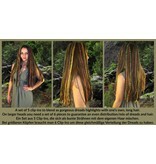 This means that you should not cut the dreads but order them in right length for you. 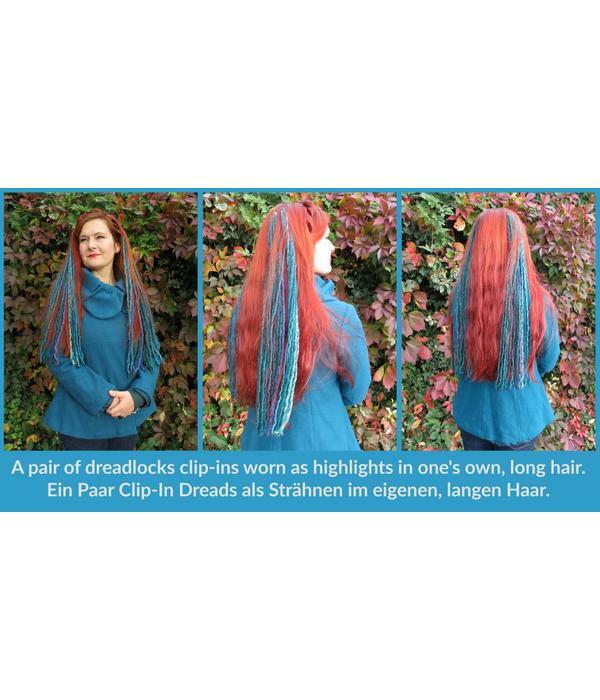 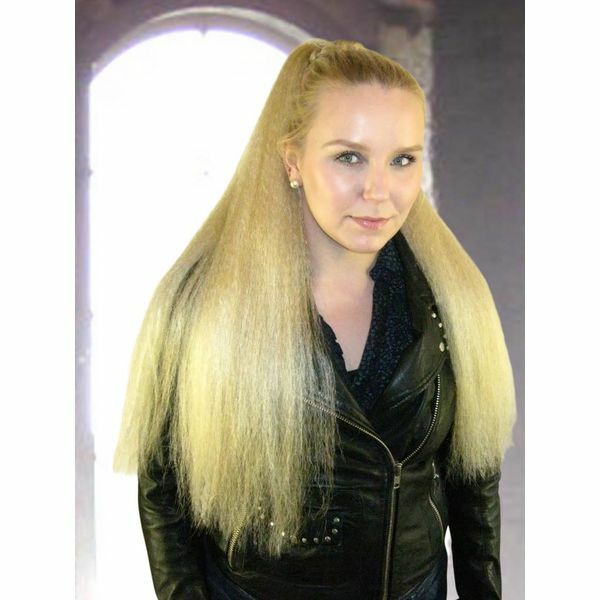 The maximum lengths of 57 cm/ 22.5 inches and 97 cm/ 38 inches are the perfect lengths for wearing these clip ins in our other hair extensions. 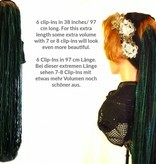 Please use the "exact length" message box and fill in the length you need. 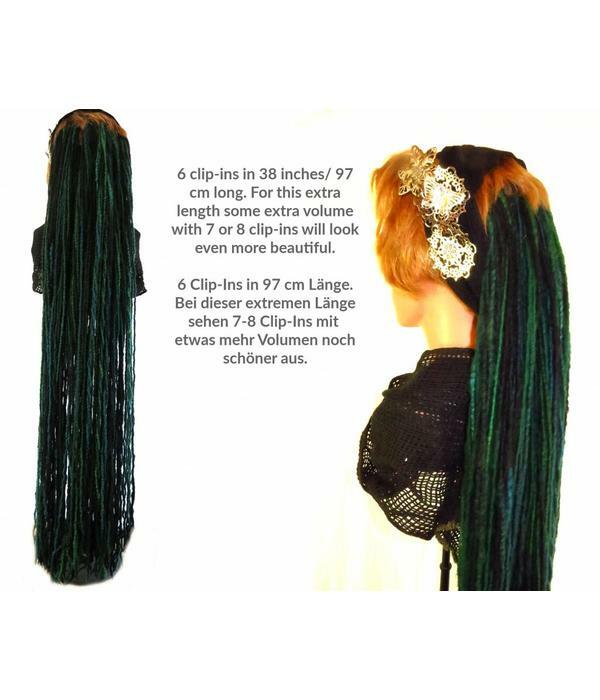 You can leave it free when you need the maximum length of the set you buy.